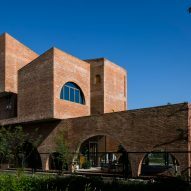 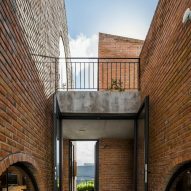 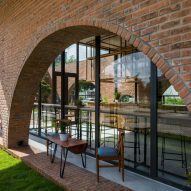 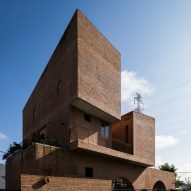 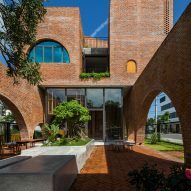 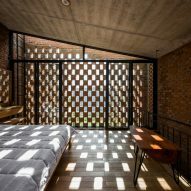 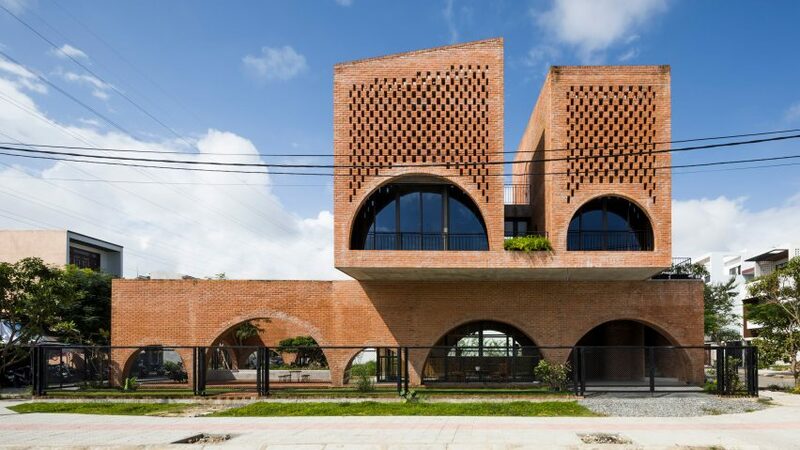 Cuckoo House's ground floor is wrapped by a brick shell, made permeable by large arched openings. 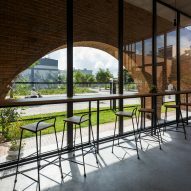 Half of this area forms a large outdoor courtyard, while the other half houses the glass box of the coffee shop. 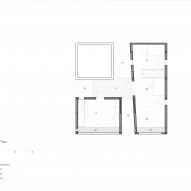 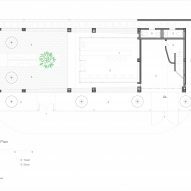 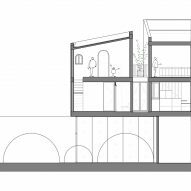 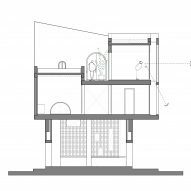 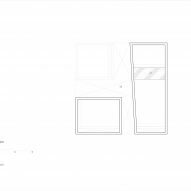 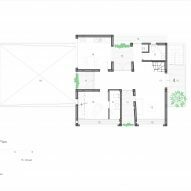 The various elements of the programme are all held together by what the architects called "buffer layers", areas of loosely programmed space that encourage movement out of rooms and chance encounters. 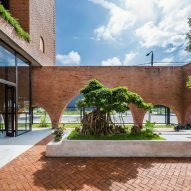 "Habits mean most people's daily lives usually take place in functional spaces," said the architects. 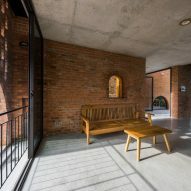 "We have detached the walls that define these spaces to offer buffer space, urging people to leave their rooms and join together."